Former Kerala chief minister and veteran CPIM leader V S Achuthanandan on Friday said that the election is a fight for independence from the ‘Modi Raj’. The 95-year-old freedom fighter, in his Facebook post, said that under the rule of Narendra Modi, even the sovereignty of the country is under threat. Modi and his friends are selling India to the corporates, he added. “The government itself is spewing communal venom and spreads hatred among different castes and religions,” he opined. Congress and BJP supporters have been mocking the Communist party that they use the former CM only during elections. 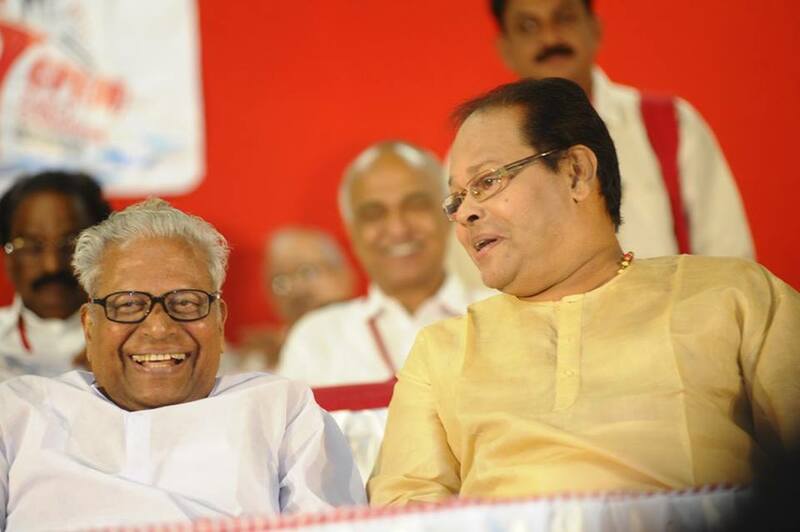 Party chose Pinarayi Vijayan over Achuthanandan, both known for leading factions in the state, after LDF secured a majority in the 2016 Assembly elections. Later, V S, as he is fondly called by the party cadres, was appointed as the Chairman of the Administrative Reforms Commission. However, he did not make into the headlines in the last two years despite being a favourite subject for media persons due to his style of speech and controversial comments. Achuthanandan, one of the founding leaders of CPIM, is not an avid social media user and this is his first reaction on his page in the last two and a half year.